Your waterfront dream home awaits! A boat lovers dream! 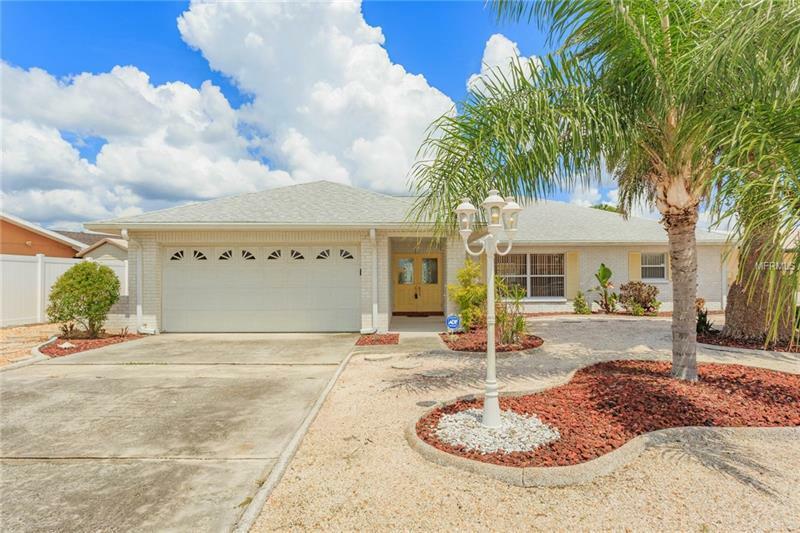 Gorgeous coastal 3 bedroom, 2 bath pool home located on a deep water canal with direct boating access to Tampa Bay. Home features ceramic tile throughout and lots of natural light. Kitchen opens up to spacious dining room and living room. Sliding glass doors lead out onto the expansive enclosed lanai. Enjoy the Florida lifestyle year round with the oversized pool, fully fenced yard and private dock. Do not miss the opportunity to own your own piece of paradise with these stunning waterfront views! Roof and white picket fence are 5 years old. No CDD or HOA fee. Don't forget to check out the 3D virtual tour. Home needs a lot of updating.